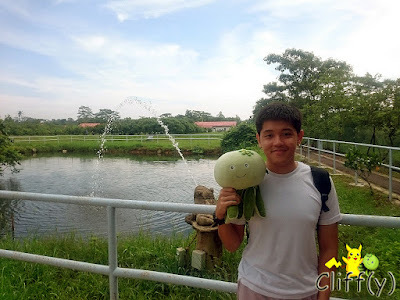 If you're looking for a quick weekend gateway, but aren't able to travel out of the counry, D'Kranji Farm Resort (3*) can be a destination of choice. Located in a very quiet vicinity in the north, the resort is a place for relaxation away from the hustle and bustle of the city. 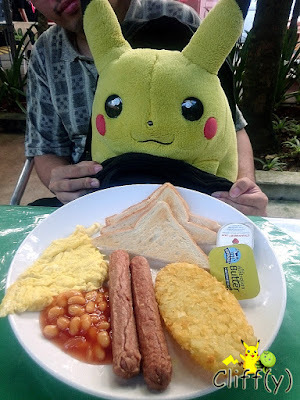 Pikachu was looking at the only breakfast dish available for each guest, along with coffee and tea. Pika's advice: If you're not driving, perhaps it's best to take their shuttle bus from Kranji MRT station as the nearest public bus stop is a long walk from the resort. Do check out the schedule from their website, which link is shown at the end of this review. 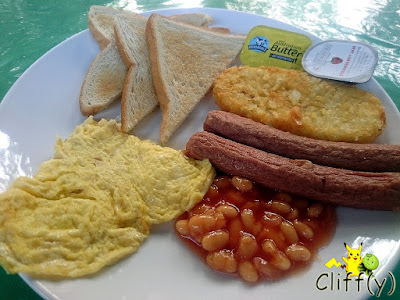 There wasn't much to talk about the basic Western breakfast dish. While the sausages were way too dehydrated, the bread slices were toasted pretty well. It was better than nothing for sure. 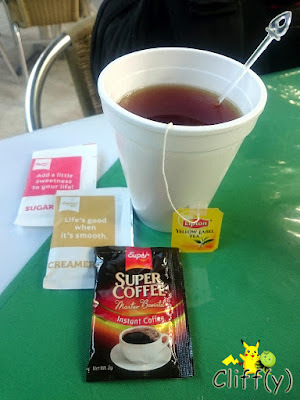 Free flow instant coffee and tea, anyone? It was nice to take a breather by walking around the farm. Beware of mosquitoes though.